And what is this world in which predominantly men speak and say more (or less) while independent voices of women are silenced by media manipulation? It is a world poised with nukes, also poisons of our lands, rivers and seas percolating to harm Mother Earth, not really anyplace you’d want to live if you had another option — unless you were the typical, predominant narcissistic male, always seeking his narcissistic supply, not capable of real caring, only able to pretend, all charm and harm. It is a world of hypocrisy about the family, about the prevailing hierarchical religions, about the misogyny of the war by males against females. Sadly, unless it changes, the suffering of the consequences will be vast beyond even our prodigious story-telling abilities as a current species. But hey, there’s a robot with a bride’s dress to be ripped off the female robot body by any guy who can afford her. Thought for today: What if none of the rulers of the global political scene on either side do anything but disinform in order to hold on to their own power and money? Blue or red, liberal or conservative, what if the longest war is really on (not just a metaphor for what’s wrong) and nobody in charge is going to bring an end to the insanity of warring normality? What if taking sides according to the spin of the leaders on either male-dominant side is just a way to divert us from doing anything meaningful about globally escalating encroachments on freedom? Then you might go another way. You might find your most authentic self-trust every day, decide who to trust as friends not foes, connect to freedom-loving life where you live and consider how best to live, relieved of the denial about the longest war. Once you start to see, you break free. Meanwhile, consider opposing the pending U.S. food fascism and pro-Monsanto-esque bills (HR 875/S 425) or any derivations rattling sabres against the people right now. Taking action on the topic of food in a faltering global agri-corporate economy could mean life and breath. 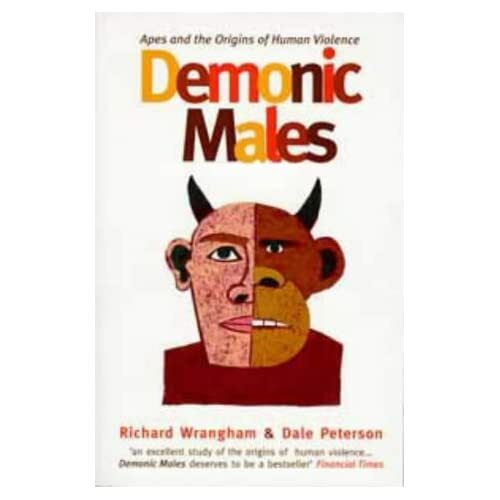 It’s also enough to make you wonder about the science compiled by a male Harvard researcher in his ironically titled book, Demonic Males [critiqued in categories of this blog]. The Christian tradition included the notion of the devil coming as an angel of light. Post-Christian scientists have every literary right to call warring and deceitful male behavior “demonic.” The question for every woman and every man is how are you going to live once you face the truth without wearing blinders to what we wish weren’t so? If Jesus is there to help, now in a demonic age of nuclear and other poisons to the planet would be a good time. You are currently browsing the TheLongestWar blog archives for July, 2009.